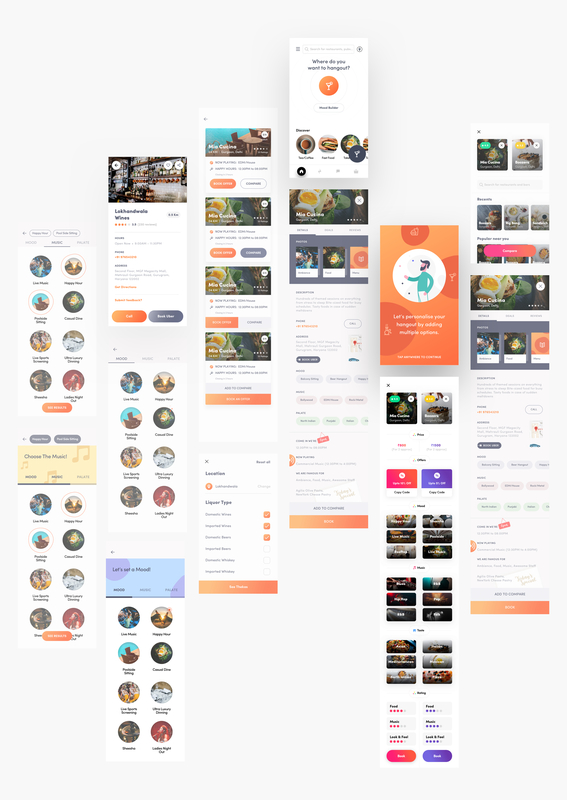 In 2018 I have worked as a design consultant for a Delhi based startup called WOOBLY, where I worked on defining the hangout experience for Android app. The primary focus of the design was to help people providing the suitable match of a particular restaurant, enabling mood, music and palate. 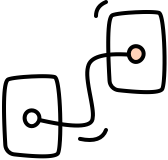 Some of the ways in the defining flows included allowing users to filter and compare restaurants and showing the best result possible. My role in this project was leading the early stage concepts and wireframing to polishing visual designs and interaction patterns. Check out my final designs below. We didn’t had a PM working on the project who could do full scale research and scope. I began conducting information and ideas from the woobly team to set the first metrics. Realised that hunting for good food/hangout experience is time-consuming and complicated. I focused on working with stakeholders to understand research objectives and goals. Crafted questionnaire to ensure that we get the valuable feedback. While I was analysing the metrics from my studies, I got unexpected insights. In the food hunting platforms, there was a weak trust due to fake reviews. Then we have set the first primary goal: TRUST. The first thing I wanted to understand that how a consumer will play a role throughout the journey. I mapped out all the entry points which led to the end to end experience. Started to flesh out the basic idea to get clarification about how it will work. After analysing all the entry points, I began working on designing user flows to comprehend the interactions and feedback patterns. Can't reveal the intire flow diagram. Visual design direction, where I have tried different visual styles, On settings the tones and guidlines following the three principles. After setting the design guidelines and standards, We on-boarded another junior designer 'Gautham (Great guy!) to help me out with designing the rest of the screens. We created the visuals based on wireframes and feedbacks in the loop. This is my forte and passion to not stop at Visual design but take it to the next level with delightful motions. I believe subtle motion creates magic. I always think to have an interactive prototype ready. After shipping and delivering, we user tested with the target audience and the internal WOOBLY team. From testing, we found that users enjoyed the option of selecting from mood-builder rather than the traditional listing of search results. You have got an Idea? Let's make it happen!